I was enlightened earlier this week by a friend who provided good advice and wise counsel. One – What we do here is all in good fun and FOR fun. I’ve mentioned that the Queen and I shell because we love it and have fun doing it. That is the sole purpose of this site – not money, not web traffic, not pride, not celebrity, but to have fun and share the fun we have with others. We are going to continue to do that, even if it means we have a poor night of shelling, the water was cloudy and all we found were broken shells. It’s all about the journey and who you’re journeying with. I happen to think that the Queen is the best partner I could ask for along my journey. Two – No matter who we meet, we want to make sure that after they meet us they leave blessed. That’s a practice we want to keep in perpetual motion. The Queen and I are very blessed people. We have been raised by good, Godly families. We have a good son, good jobs, a good home, a great marriage and a comfortable life. We are well traveled and are hoping for more. God has shown us much favor. Apart from being a bombshell, the Queen is an artistic genius; she can get a craft idea in her mind and within minutes is sitting down and banging it out. Whether it’s a scrapbook page or a work of shell art, she’s very creative with an artistic, organized and administrative mind. She makes friends everywhere she goes. She has a great sense of humor and can keep up with mine, which I assure you is not an easy task. She really is the smartest person I know. Coupled with being stunningly beautiful, she is the total package. She is one I prayed to find before actually finding her. I have been blessed in more ways than I can count. God has given me a musical mind and allowed me to use that musical talent to supplement our income through a few TV shows. He’s given me the ability to write stories, songs and books and make musical compositions that I have been able to pass along to other artists so they can bless others with their music. He has given me a good job, surrounded by good people who I call friends. This post is not to brag or boast about what we have. On the contrary, it is more about boasting about what God can do and has done through his mighty hand….and he can do the same for you. 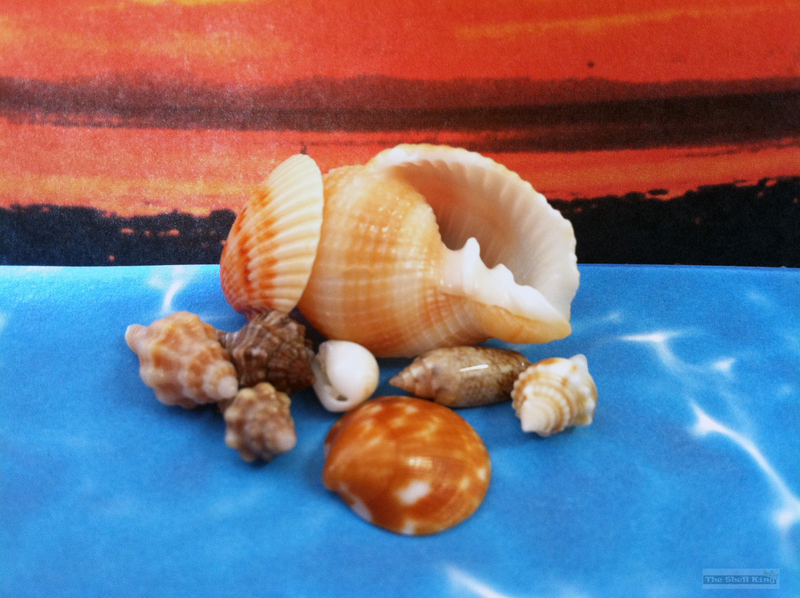 It is our hope that through this blog, you too are blessed by what we share with you, even if it is just a short, simple walk along the sea picking up seashells. You reading this now for the first time – welcome to our journey. If you’ve been reading for a while, thank you for coming along with us. The best is most assuredly yet to come. The Queen and I sure do value our weekends. After a long work week, there’s nothing better than relaxing on a beach, cold soda in hand, smelling the ocean and hearing the waves crash. It runs in the family. Speaking of family, the other side of the Royal family arrived in Fort Myers earlier this week – the King’s side, including Mom, Grandmom and Auntmom. They’re seasoned vets to the area after visiting each year in late June. 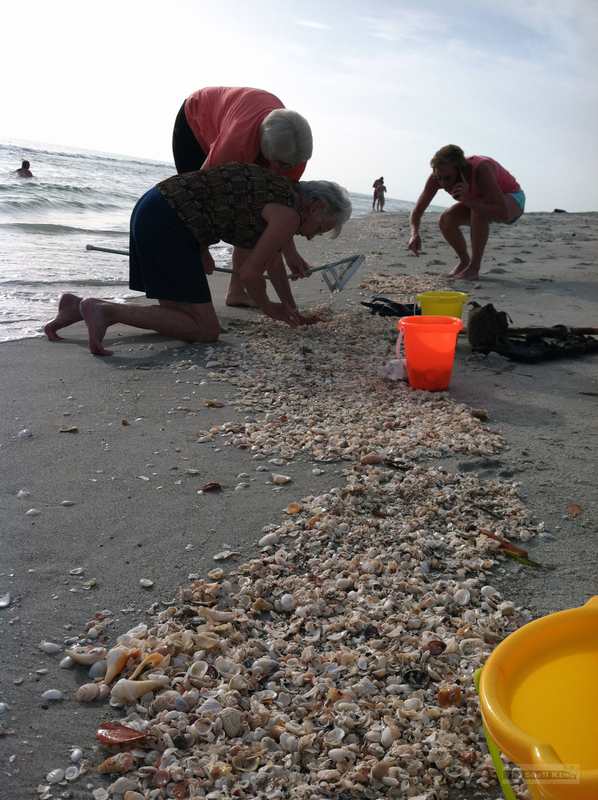 We’re still working on helping them become shelling professionals but they’re well on their way. We were unable to have our traditional Thursday Thunder due to the rainy season rearing its head, so instead we turned Friday Date Night into Friday Thunder. Perhaps we should just start calling it “Thunder”. 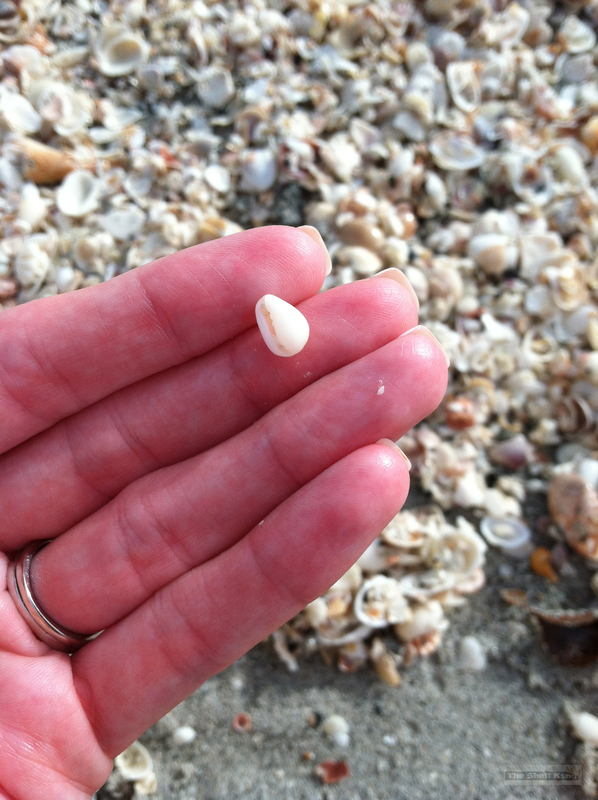 ….but it did turn into a mini hunt as mini shells were in abundance. So we laid out the shell carpet with our scoops and let the buffet commence. Lots of teeny-tinies to be had, like Horse Conchs, Fighting Conchs, Drills, Cantharuses, Olives, Nutmegs and Murexes – all in Juvie form. While digging through a pile, the Queen found a nice Marginella. We ended the night with a late dinner at one of our frequent Thunder establishments, Cheeburger Cheeburger. 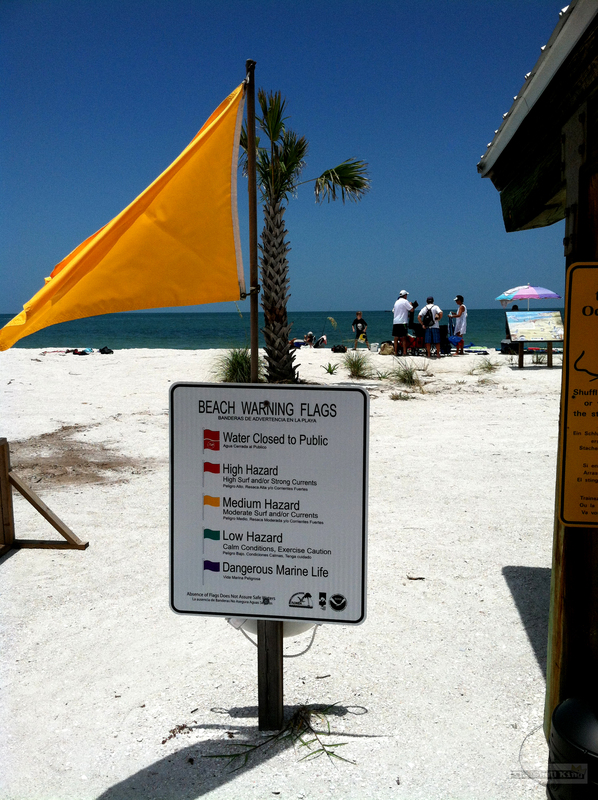 Saturday morning took us to Lover’s Key State Park, our April stop on the Florida Beaches Royalty Tour. 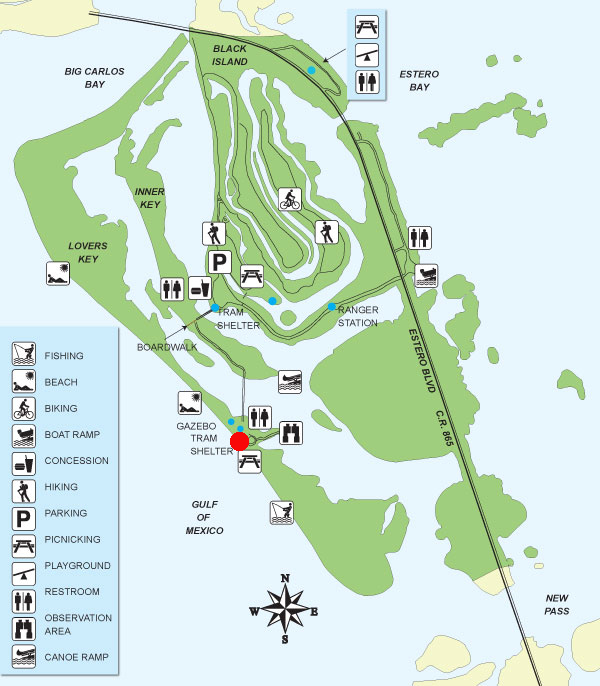 Only this time, we went inside the park itself and took the free tram to the South beach (where the red dot is). The tram is a godsend, as the sun was beating at 10am and quickly approaching 90 degrees outside. Our April stop was where the causeway crosses onto Black Island, and there is quite a difference between the two spots. There’s a grill set up there to cook your lunch, a gazebo that is out of the beating sun and a place to sit and eat, public restrooms with a water fountain and a nice concession stand there. A perfect place to spend the day with amenities at your fingertips. Eight bucks a car to park all day. We hadn’t been to that section of Lover’s Key in a long time. Or I should say The Queen hadn’t. I’d never set foot there before. We both wondered aloud why we hadn’t visited here more frequently. 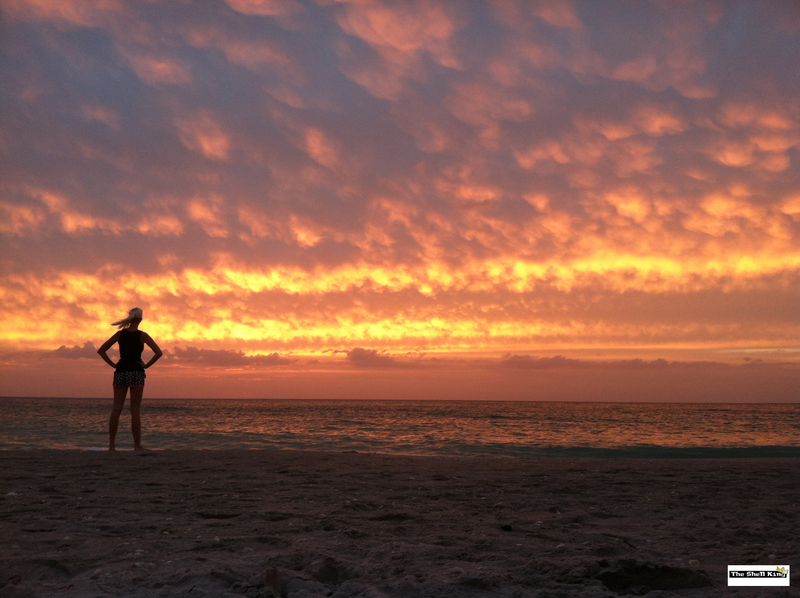 Well, we’ve only been doing the blog now for about nine months and there are tons of beaches we haven’t seen. Now we have an even bigger list of places to visit! 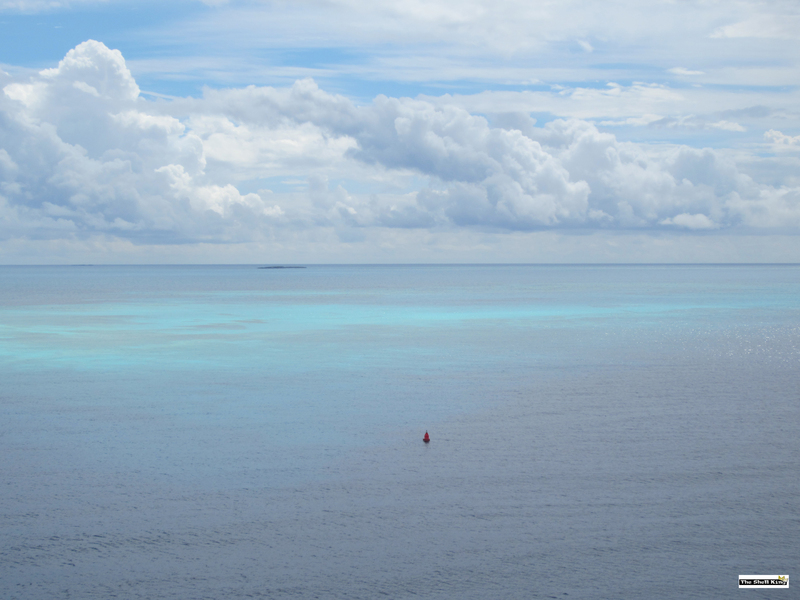 But what an amazing view.The water was semi-clear and warm. 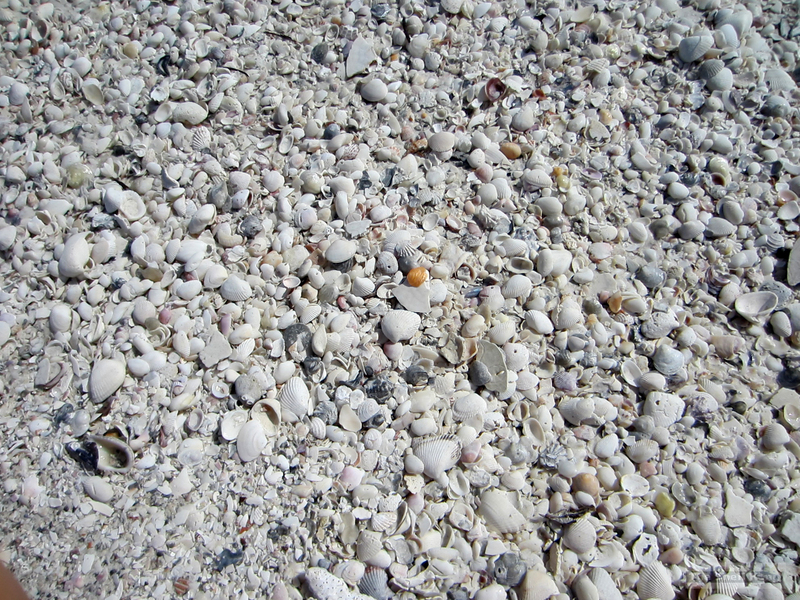 We set up shop and noticed several shell piles stretching along the entire length of the beach. The ladies grabbed the scoops and I grabbed the snorkel. 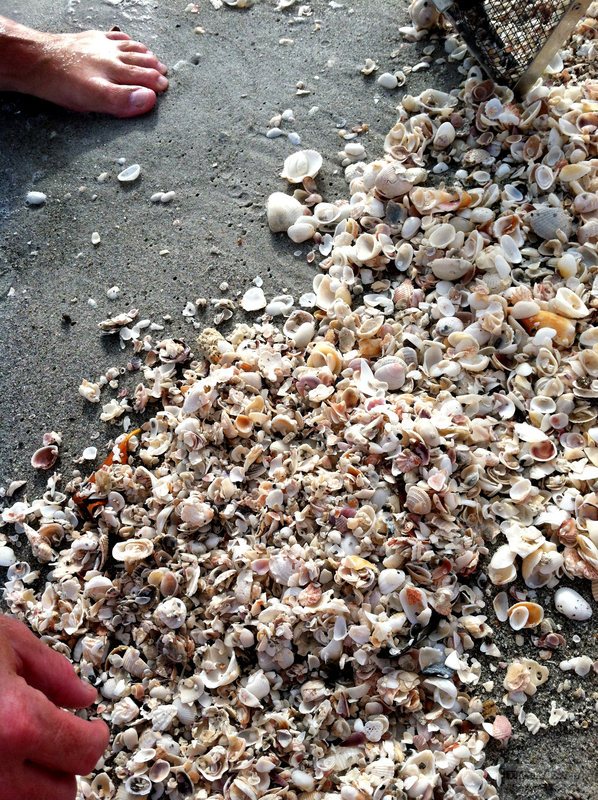 Lots of broken shells coming along the shore due to dredging, where a dredge boat sat a few hundred yards off shore. But, you know what that means. Unearthed keepers soon. 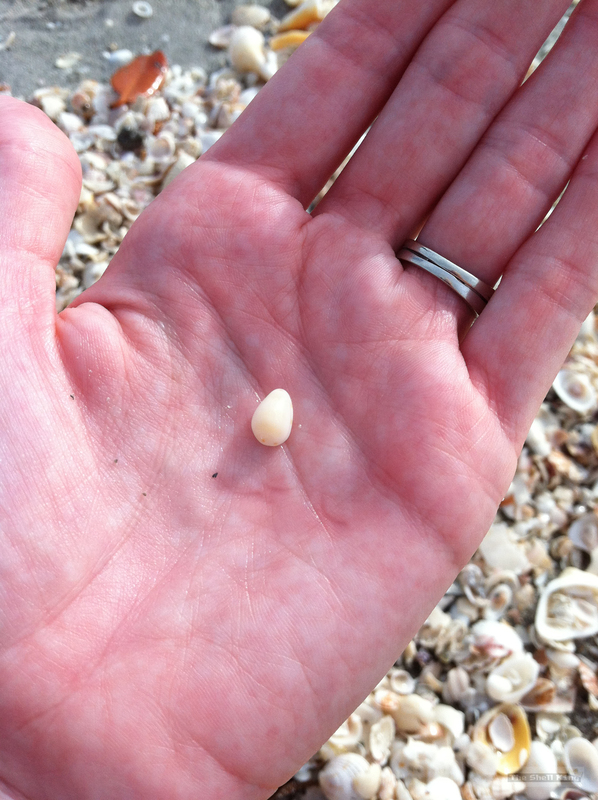 We were pulling in quite a few Olives, both alive and empty along with Fighting Conchs, Nutmegs and plenty of minis. I had a slight (yeah, right) scare while snorkeling. Only he wasn’t that small. His eyes were about 8 inches from each other. So he was easily a couple of feet across. I ain’t gonna lie….scared the bejezus outta me. 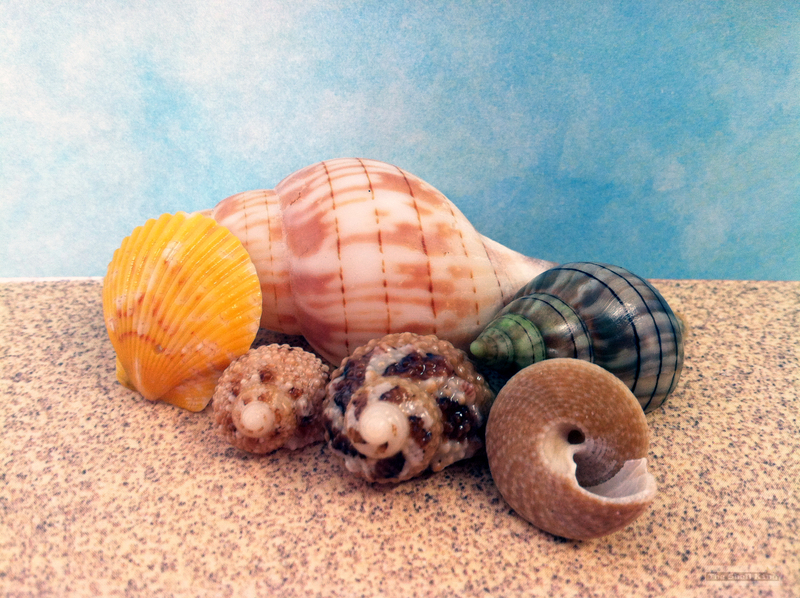 I told my Aunt about it and she came by to collect the Fighting Conch and see if she could catch a glimpse. About that time, he decided to move from his spot and slid right across my feet. If there was any bejezus left, it came out again right then. That’s why we do the “Stingray Shuffle” here. Don’t worry if you see one. They’re not aggressive. Just be aware. 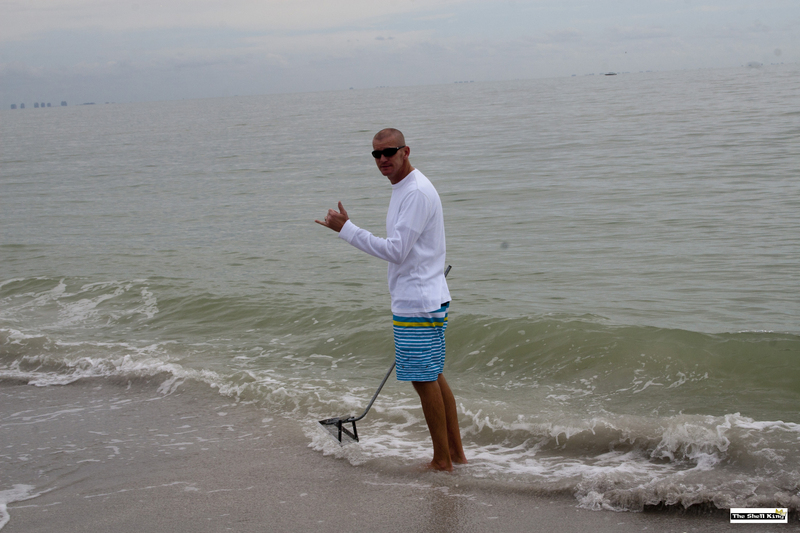 We were out at Blind Pass on the Captiva side last week and I was snorkeling about 20-25 feet out. While I was out there dodging, dipping, diving, ducking, and dodging, I didn’t notice anything around me. I came up for air, only to see Queenie waving her arms from the shore. I came out of the water and went to find out what the commotion was. She told me that she saw a large, dark figure near me in the water. At first, she thought it was a shark. But it was a dolphin, who had swam towards me very quickly, got about a foot from me, made a circle and swam a foot from me again…like he was just swimming in a circle around me. I thought it was pretty cool. 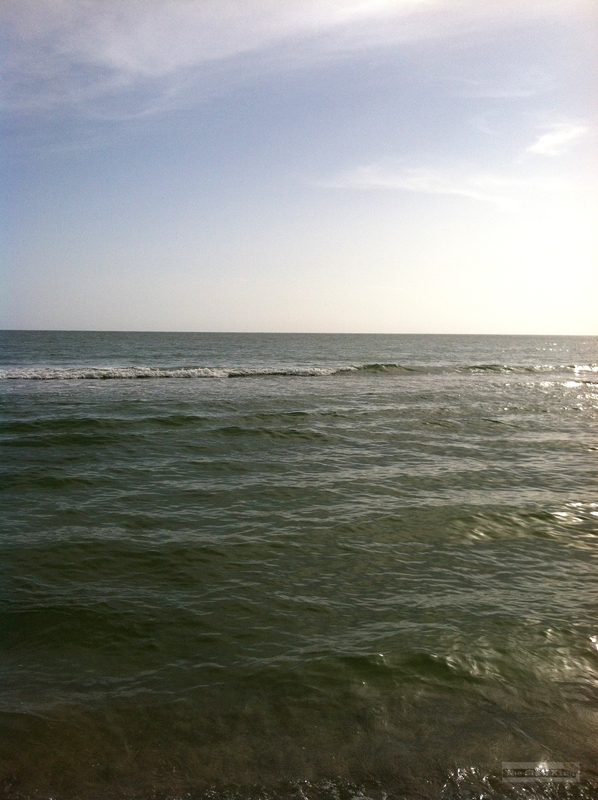 I remarked that if a shark wanted me, he would have had me as I didn’t feel any water ripples or sense the dolphin. I didn’t even know he was there. I relayed this story to some fisherman buddies of mine and they told me about dolphins protecting humans from sharks…and that it was a common occurrence. I got goosebumps. One buddy told me that it had to have been a pretty large shark to get a dolphin to come to my rescue and get that close to me. So, again – be on your guard….and I say that to myself as well. 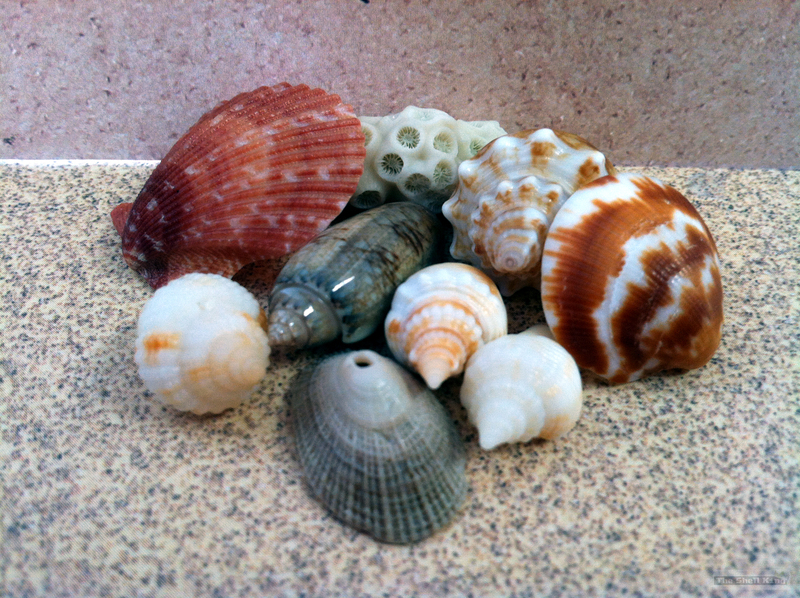 Some shells from Blind Pass and Lover’s Key this past weekend. I’m sorry for the slight blur in some of these. I didn’t have our good camera handy, so I had to use the iPhone. LOOK at the color pattern on that Chestnut Turban. Wow! We also have a Super Moon tonight, so keep your eyes peeled towards the sky. 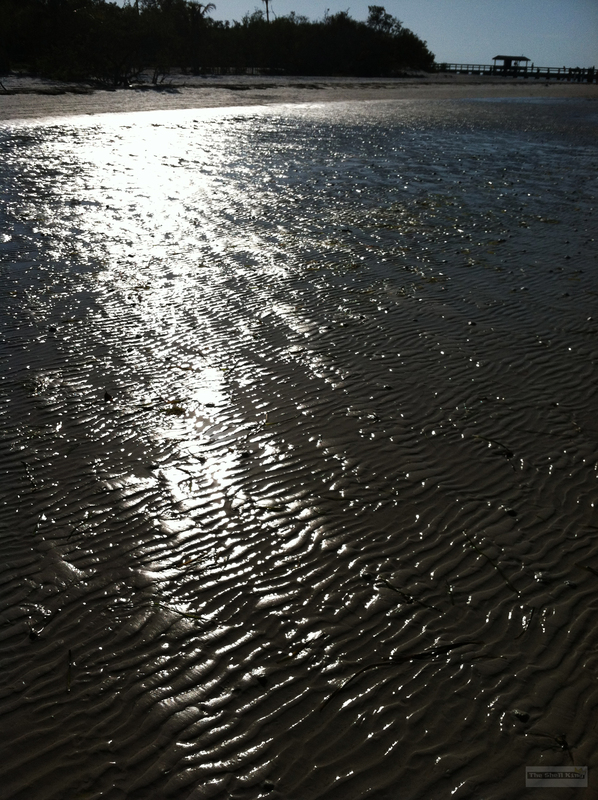 Some larger than normal tides comin’ our way!